UNIFORMS ETC. 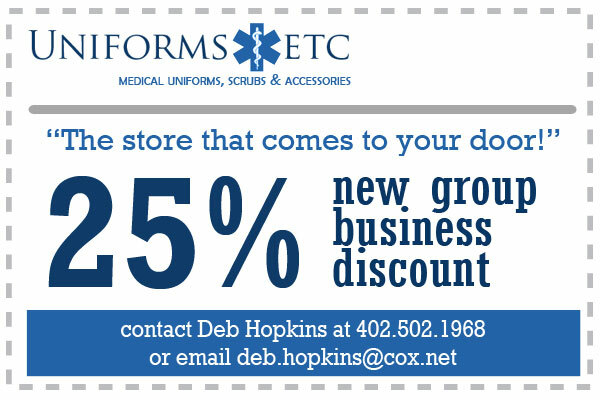 – Omaha’s “Come to Your Door” Supplier of all your Scrubs, Lab Wear, Shoes and Accessory Needs. We take the hassle out of your employee’s uniform needs by bringing our inventory to you so you can try it on and get exactly what you need, and if we don’t have it – we will order it for you! !